The 57 year old iconic singer died inside an elevator in his $10 million dollar Minnesota home. Prince's sudden death came just days after he was hospitalized for severe flu. On friday, The purple rain singer's private jet had to make an emergency landing and he was rushed to the hospital were he was treated for a few hours. The singer recovered enough to make an appearance at a dance party on Saturday. Prince took the stage at some point to assure worried fans. "Wait a few days before you waste any prayers"
He said to his concerned fans. A statement which proved to be prophetic. On Sunday, the following day the 7 time Grammy award winner was spotted riding a bicycle outside his estate. On Wednesday Prince was seen at the Walgreen's Pharmacy near his home at 7pm. Witnesses described him to be looking frail and more nervous than usual . It was reported that this was his fourth visit to the pharmacy in a week. On Thursday morning, Precisely 9:43 am. Paramedics received a chilling phone 911 call. "A Male down, not breathing." Paisley Park estate in Minnesota, they found a dying and unresponsive Prince in the elevator. 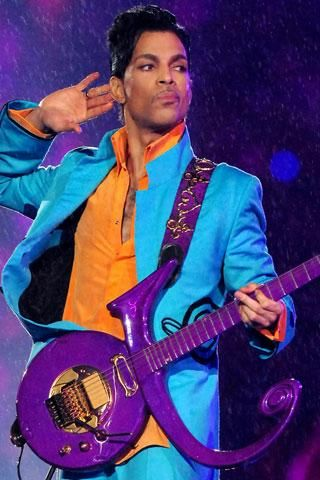 The artiste formerly known as Prince was no more. The cause of death is not yet known and mystery clouds the death of the legendary singer who sold over 100 million records in his illustrious 40 year career. President Obama was joined by other Celebrities like Madona, Boy George, Katy Perry, Chaka Khan and Mariah Carey to pay tribute to the fallen music icon.